1 huge rabbit | This Blog Rules | Why go elsewhere? What on earth has happened here? Has a gigantic toy fallen from the heavens? 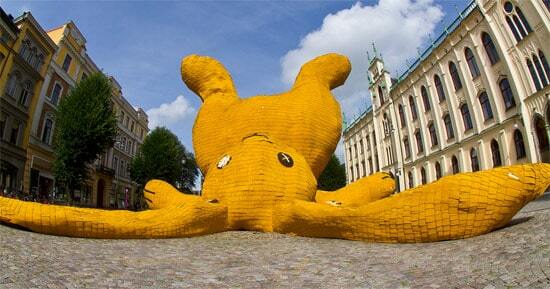 Or are we gazing at the Big Yellow Rabbit of Örebro in Sweden? This gargantuan yellow rabbit is both hated and loved by citizens of Sweden.